Gaining muscles can be a dilemma because for most, there is a thin line between gaining muscles and gaining fat. There are people who firmly believe that gorging on several pounds of cheese steaks every week will help. Their way of gaining muscles, unfortunately, includes gaining fat. Gaining muscles only requires three things: a proper muscle-building workout, a recommended diet and great discipline. In addition, one could choose from the variety of supplements approved by the United States Food and Drug Administration (USFDA) which aids in building muscle mass. The following are the kinds of supplements approved by the DFA and are generally safe and effective. Weight Gain Powders - Increasing the intake of calories is one of the most common approaches to gaining muscles. Athletes and bodybuilders do this by consuming extra food or weight gain powders. However, research show that consuming 500-1,000 calories more than the recommended daily amount will only gain 30- 50 per cent weight and muscle mass. Majority of the extra calorie intake will only gain fat. Although it has no side effects, consuming weight gain powders is generally not recommended. B-hydroxy B-methylbutyrate (HMB) - HMB is a metabolite of leucine, an amino acid, which can slow down the degradation of protein. Studies indicate that adding HMB to the diet increases and strengthens muscle mass among elderly people and those who are just starting their training. Regular intake of HMB, coupled with regular exercise will likely gain anywhere from 0.5 to 1 kilogram of additional muscle mass in 3 to 6 weeks. Additional research is needed however if the same effect can be achieved among athletes who have already undergone intense training for a long time. Creatine - Studies show that creatine is the most effective supplement available on the market to build up muscles during exercise or training. This is because the consumption of creatine improves the person�s capacity to undergo high intensity workouts. Consumption of creatine also enables a person to train harder, leading to muscle hypertrophy. In addition, consumption of creatine also leads to weight gain. So far, studies report no long-term side effects. Protein People undergoing intense activities need to increase their protein intake to prevent slowing their training adaptations and recovery. Protein supplements are an effective and convenient way of guaranteeing sufficient quality protein in the body. Bear in mind that increased protein intake does not necessarily lead to muscle mass development. 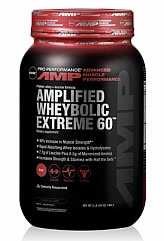 GNC Pro Performance® AMP Amplified Wheybolic Extreme 60TM - Chocolate: Buy Now! In addition to these popular muscle-building supplements, there are a variety of other supplements available on the market. These supplements are possibly effective and more studies are being done to prove their worth. Branched Chain Amino Acids (BCAA) has been reported to decrease the degradation of proteins in the body thereby leading to muscle gain sans the fat. Glutamine is the most abundant non-essential amino acid. Glutamine has been reported to increase the hydration of cells and the synthesis of proteins during training. Essential Amino Acids (EAA) is also reported to stimulate the synthesis of proteins. Other supplements are still being researched for possible effectiveness in muscle gain. These supplements include Ecdysterones, Growth Hormone Releasing Peptides, isoflavones, Sulfo-Polysaccharides, Smilax Officinalis and Magnesium Aspartate. Make sure to be extra careful in choosing your muscle-building supplements. There are numerous choices, and a significant number are not only ineffective, but also unsafe. Carelessness could lead to grave results. Buy from reliable sources only and read the labels. Always check if these supplements are safe by checking if they are approved by the FDA. In addition, consult an exercise physiologist or sports nutritionist to ensure if these supplements are what you need and will not lead to complications.